Dr. Saran's research interests are in stochastic programming, large scale optimization, and discrete event modeling and simulation. Applications of interest include supply chain management, healthcare, pricing and revenue management, and energy management. 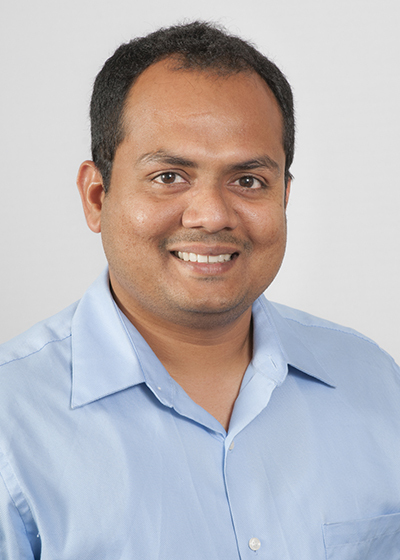 Before joining the PhD program at Texas A&M University, Dr. Saran worked in industry for nine years for companies like JDA Software, Hewlett Packard where he had opportunities to develop and implement decision support systems (mathematical and statistical models) in the domains of consumer support, supply chain management, transportation, and pricing and revenue management. Novel Data-Driven Algorithms for Autonomous Vehicle Path Planning Problems with Uncertain Data Parameters, ARC (Automotive Research Center), U.S. Army Center of Excellence, University of Michigan, MI. Community-Aware Charging Station Network Design for Electrified Vehicles in Urban Areas: Reducing Congestion, Emissions, Improving Accessibility, and Promoting Walking, Bicycling, and use of Public Transportation, TRCLC, Western Michigan University, Kalamazoo, MI. Support and Enhancement of Optimization Models for Advertisement Placements in Radio Stations, JDA Software, Atlanta, GA.
Auto-Carrier - Routing and Loading, US Auto Logistics, Houston, TX. Replenishment and Forecasting Models, NCR Corporation, Atlanta, GA.
Fleet Assignment Models for ANA airlines, Juro International Systems, Kansas City, MO. Venkatachalam S., Narayanan A., "Two-stage absolute semi-deviation mean-risk stochastic programming : An application to supply chain replenishment problem," Computers & Operations Research, 2019. Venkatachalam, S., Sundar, K., & Rathinam, S. (2018), "A Two-Stage Approach for Routing Multiple Unmanned Aerial Vehicles with Stochastic Fuel Consumption," Sensors, 18(11), 3756, 2018. Faridimehr, S., Venkatachalam, S., & Chinnam, R. B, "A stochastic programming approach for electric vehicle charging network design," IEEE Transactions on Intelligent Transportation Systems, (99), 1-13, 2018. Sundar, K., Venkatachalam, S., & Rathinam, S., "Analysis of Mixed-Integer Linear Programming Formulations for a Fuel-Constrained Multiple Vehicle Routing Problem," Unmanned Systems, 5(04), 197-207, 2017. Beier E., Venkatachalam S., Leon J., Ntaimo L., “Nodal Decomposition-Coordination for Stochastic Programs with Private Information Restrictions,” IIE Transactions, 2016. Venkatachalam S., Narayanan A., “Effective Formulation and Heuristics for Multi-Item Single Source Ordering Problem with Transportation Cost,” International Journal of Production Research, 2015. Venkatachalam S., Wong F., Uyar E., Ward S., and Aggarwal A., “Media Company Using Analytics to Schedule Radio Advertisement Spots,” Interfaces, 2015. Corolli L., Lulli G., Ntaimo L, and Venkatachalam S., “A Two-Stage Stochastic Integer Traffic Flow Management,” IMA Journal of Management Mathematics, 2015. Beier, E., Venkatachalam, S., Corolli, L., & Ntaimo, L. (2015), "Stage-and scenario-wise fenchel decomposition for stochastic mixed 0-1 programs with special structure," Computers & Operations Research, 59, 94-103, 2015. Sundar, K., Venkatachalam, S., & Manyam, S. G. (2017, June). Path planning for multiple heterogeneous Unmanned Vehicles with uncertain service times. In Unmanned Aircraft Systems (ICUAS), 2017 International Conference on (pp. 480-487). IEEE. Sundar, K., Venkatachalam, S., & Rathinam, S. (2016, July). Formulations and algorithms for the multiple depot, fuel-constrained, multiple vehicle routing problem. In 2016 American Control Conference (ACC) (pp. 6489-6494). IEEE.